Dr. Caroline Evans can boast an illustrious career. Ms. Evans, a mother of four, has served as a teacher, corporate trainer, and head of psychology at Lady Lumley’s School in Pickering, North Yorkshire, England. She was convicted in early 2009 for fraud. On her resume, “Dr.” Evans listed a teaching degree, psychology degree, post-graduate education certificate and nursing qualifications. The problem is that Evans did not earn any of these degrees; she lied about them. Resume lies concerning education is not as uncommon as once believed. Degrees are often the easiest to lie about simply because many employers don’t check into an applicant’s educational background. In Evans’ case, even once her employer was tipped off to her educational embellishment, it still took three years for the law to catch up with her, during which time she perpetrated three more employment scams. Even employers who ask for copies of degrees or transcripts are sometimes duped. 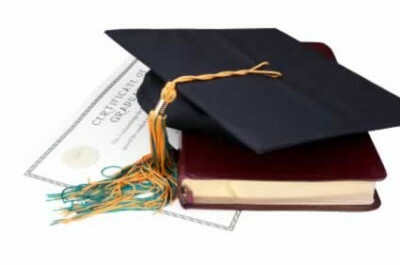 Degrees and transcripts can be easily forged and diploma mills are churning out so many “graduates” that employers have to double check an applicant’s education to ensure their candidate has genuinely completed the educational achievements he/she claims. Caroline Evans, who also sometimes used the alias Dr. Caroline Jones, bilked her employers out of thousands of dollars in wages and benefits, and opened them up to a host of legal liabilities. On one application, Evans even lied about a past criminal arrest. She worked as an in-home caretaker, often staying the night in the homes of elderly and vulnerable clients, after a conviction for assault on a teenager. Because her employer didn’t do a thorough background check, they exposed dozens of innocent people to a con artist. At worst, an employer’s lack of due diligence can be embarrassing for the company; at worst it can be criminal. Employer’s who should have known that an individual under their employ has a criminal background or who does not actually possess the qualifications he/she professes to hold, open themselves up to a host of legal issues, including lawsuits and criminal penalties. The only way to ensure that an employee really does have the education listed on his or her resume is to verify that information. Performing a thorough background screening, including a reference check, prior employment check, criminal background check, and education background check, can safeguard your business. Evans was sentenced to six months for her crimes. Her employers may spend longer than that recouping their reputations and paying off lawsuits.